Enjoy a three course lunch including sparkling on arrival, your choice of entree, main and dessert all with a glass of matched wine and tea or coffee to finish. Kids offer: Enjoy a kids main meal, fruit juice and ice cream dessert for only $25 per child. Treat your Mum this Mother's Day to some delicious wine from our Yarra Valley Cellar Door. There will be huge discounts on selected wines all Mother's Day weekend. Perhaps a decadent afternoon tea? If your mum enjoys a cream tea (and frankly who doesn't), look no further. Katrina Pizzini at A tavola! 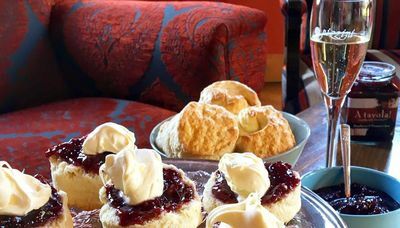 Cooking school at Pizzini Wines has shared this delicious scone recipe with us. Your favourite jam and extra rich cream for the scone topping. Sift the flour with the salt 3 times. Whisk the cream, egg and milk together in a small bowl. Make a well in the centre of the flour and pour the milk mixture into the well, leaving a tablespoon or so of the milk mixture in the bowl to baste the scones before putting them in the oven. With the wooden spoon, stir the milk into the flour then using your hands squeeze the mixture together into a ball. Sprinkle a little flour on the bench then knead the mixture for a minute or so. With the rolling pin, roll the dough out to 2cm thick. Dip the scone cutter into flour and press onto the dough to cut out the scones. The last couple of scones may need to be moulded by hand, and you should end up with around 8 scones. Baste the scones and bake in the hot oven for 20 minutes or until nice and golden brown. Remove from the oven and place on a rack to cool. Cut in half, add the jam and cream and serve with a nice hot cup of tea or a glass of Pizzini Brachetto or Moscato. An Ultimate Winery Experience is the perfect treat for your mum to enjoy at her leisure. Here is a selection that will certainly put a smile on her face, alternatively you can browse our wide range of experiences here. A hosted tour of The Lane Vineyard winery, where in 1993 John and Helen Edwards realised their dream of producing single vineyard wines. The tour guide will include an overview of the winemaking process followed by a tasting of The Lane Vineyard Occasion Wines. Following the tasting you will be able to choose your favourite for a vertical tasting in the vineyard block where the grapes are grown. Click here for details. Held in the outdoor kitchen at the historic Jacob’s Estate Cottages. Enjoy a cooking experience led by the talented Jacob’s Creek Chefs overlooking our beautiful Kitchen Garden. The class involves working in small teams, picking fresh produce from the garden, which will then be specially prepared into a gourmet meal. After your cooking skills have been put to the test you will enjoy a leisurely lunch matched with your favourite Jacob’s Creek wines. Be collected from either wine country airport or your local wine country accommodation and enjoy a scenic helicopter flight over Hunter Valley Wine Country before landing at Audrey Wilkinson Vineyard. 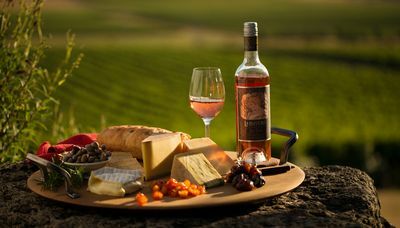 Wine taste at the cellar door followed by a gourmet lunch hamper of salads, cold cuts, cheese, desserts and a bottle of Audrey Wilkinson wine. Begin your day travelling in style in the MONA ferry’s super exclusive Posh Pit, with complimentary Moorilla wine, Moo Brew beer and delicious snacks. Upon arrival, entry to the museum is included in your tour. Next, Moorilla’s wine ambassador will take you on a private behind-the-scenes tour of the winery and vineyard. You’ll taste the wine as it is being made, following the trail of grapes as they are handpicked, crushed, pressed, fermented and matured. You’ll also receive a complimentary bottle of our most celebrated wine, the Muse Pinot noir to take home. Celebrating fine wine, food and the arts, the ‘Ultimate Leeuwin Wine and Food Experience’ is the most elegant way to be introduced to the Estate. Upon arrival guests will be greeted by a tutor in the Art Gallery and welcomed with a glass of Leeuwin Estate Brut as they enjoy the unique collection of contemporary artworks that feature on the labels of Leeuwin’s premium ‘Art Series’ range of wines. A tutored wine tasting of five Leeuwin Estate wines, each accompanied by perfectly matched food, will precede lunch in the award winning restaurant where guests will continue to enjoy the range of five wines accompanied by a seasonal menu including house baked bread and olive oil, choice of two mains, choice of two desserts, a farm cheese, tea and coffee.